There has been a lot of talk about podcasts lately. And I’ve also been getting a lot of questions about the best podcast setup and how to do it on a low budget. Make no mistake… podcasting is colossal right now, and it just keeps growing. Along with blogging and video, it is one of the biggest mediums for content creation that exists today on the internet. So let’s break it down in one post for you. Here’s the tips and tricks to getting your podcast off the ground, growing your reach, and creating fans of you and your podcast! Podcasting is all about sharing information. Some people desire to do it so that they can share information about a topic they are extremely well-versed in. But people also love the idea of podcasting because they love the idea of having other experts on their show. Either way, the entire idea is to share information and help people learn. Starting a podcast can be a great way to build credibility. If you consistently share valuable information, and help your audience members to achieve their goals, then you will be seen as someone with credibility… and this helps your platform. Starting a podcast can be an awesome way to position yourself as an expert in your industry. It may not happen overnight… but if you stick with it and grow your podcast audience, your level of knowledge and influence will increase. Not only will you learn and become a better expert yourself, but you will also be able to position yourself as an expert in your field in the eyes of your viewers. The Podcast is Growing… And Will Continue to Grow! Podcasting is growing at a very, very significant rate. Part of this can be attributed to the fact that we are all now walking around with powerful multimedia supercomputers in our pockets! But other technologies also make this possible. For example, our cars can sync so well with most podcast devices nowadays that listening while on the road has become easy. Alexa and other related AI devices also make listening to podcasts at home extremely user friendly. People can listen while they are doing other things, even if they can’t read or watch video. Most podcast listeners are also quite educated and affluent. The vast majority have at least some kind of college degree, and also earn an above-average income. 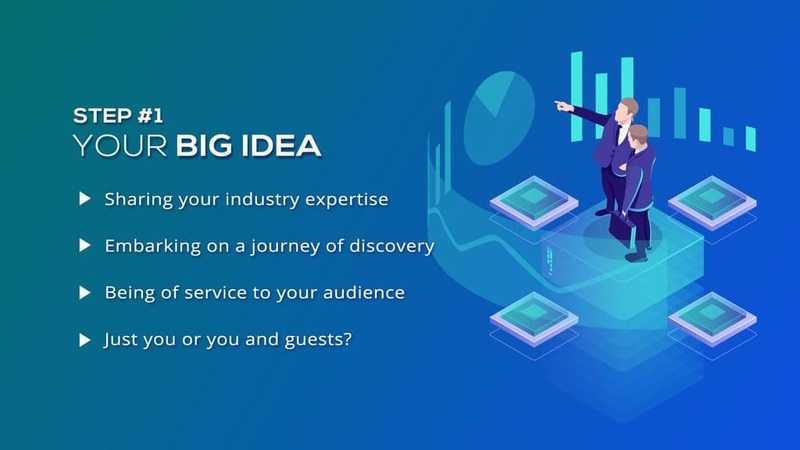 This means that they usually already know a little bit about what they are wanting to learn more about… but that they could also be profitable customers if you ever desire to monetize. Can You Actually Start a Podcast for $100??? Or Less?! Actually, you can! This may seem hard to believe, especially when a quick look at even basic equipment can quickly run up into the hundreds… if not THOUSANDS of dollars in costs. But there are a few ways to get it done for less. And in this article, I’ll tell you the best way that I know of to get started in the game for less than a hot Benjamin! There are 8 steps to getting your podcast up and off the ground… and it is not at all as difficult as you may think. Some people are more intimidated by podcasting because it seems to require more tools than you may be used to… but don’t worry! I’ll explain why my $100 podcast setup actually works, and how to get it rolling to start your own podcast! How to Start a Podcast for Under $100! The first thing you have to do is come up with the ‘idea’ for your podcast. The biggest part of this is sharing your industry experience. What have you learned about on your own journey of discovery that will help teach your listeners about their own challenges? The main thing to keep in mind is that you want to be of service to your audience. If you start focusing on the money, you’ll start to lose sight of the value. So bring real service and value to your listeners. Figure out what your target audience wants to see, and give it to them. Publish relevant content that will help them and make their lives better. Help your audience to succeed, and you will succeed along with them. You also need to decide if you are going to be more of a ‘one person’ show, or if you are going to interview people and have guests on your podcast. I have adopted a mix of these two ideas… and it has worked really well for me! Alright. Now, onto the podcast tech. Either way, you are going to need a microphone. 1. One cheap microphone that I love is an Audio Technica USB microphone. There are a few of these offered in the $70-$80 range, and they work extremely well. 2. I actually used a Plantronics headset mic for about 300 videos back in the day. These cost anywhere from $60 to $100, but even the cheaper ones pack in some awesome sound quality for the price. 3. You can also buy the iRig Mic Lav, which is an awesome little lavalier mic that plugs into your cell phone or mobile device. These work really well if you are going with a phone or tablet for recording your audio! Plus, they only cost about $50… which is awesome! Check out this post if you want the best of the best audio recording equipment. Well, Garageband is an awesome free app that runs on Apple computers, and I highly recommend using that for recording and editing if you’re running Apple tech. But there is also Audacity for Windows. It’s free, and is an open-source software that lets you record and edit audio as well. There is also Zoom.us. 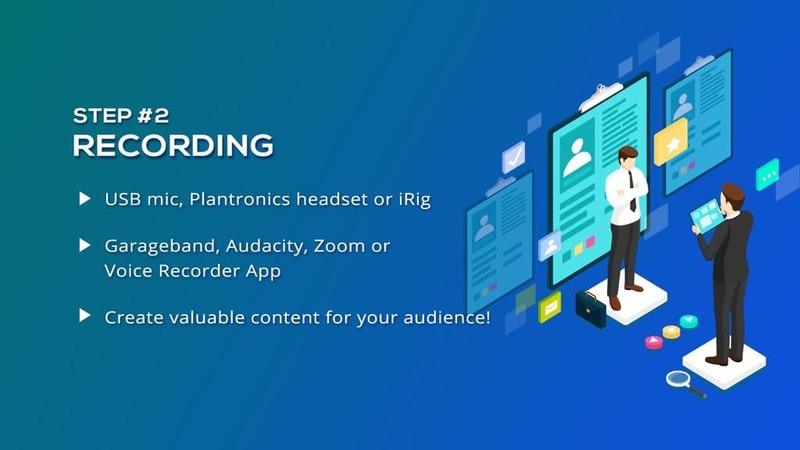 This is a conference call tool with a recording system built right into it, and a lot of people are using it to record for podcasts… especially on mobile devices like phones or tablets. A little bit of editing can go a long way toward making your podcast awesome. Editing out the coughs, sneezes, doorbell rings, interruptions, glitches, and long pauses can really help your podcast to sound more professional. Plus, you can do your editing right in Garageband or Audacity, and it doesn’t even require that much work. I also use an app called Levelator, which helps to normalize the audio and keep it all about the same volume. This really helps a lot if you often interview people, because sometimes there is a difference in volume that can be problematic to fix in editing without the use of an app or plugin. Note: When you get ready to export your final audio file, you will want to save it as an MP3 file rendered at either 96 or 64 kilobits per second. This creates a smaller audio file than a WAV or a 144 MP3, which saves hosting space which saves you money. You will also want to add an ID3 tag to your audio file, which embeds the file with a title, an author name, and an image. This way, if someone downloads the file, they will get that information on their device and will be able to see what they’re listening to. Your podcast ‘host’ is where you will store the MP3 file so that it is available for listening and downloading for your audience. Some people assume that they should use their web server for this, but that is actually not the case. This will overwhelm your web server! 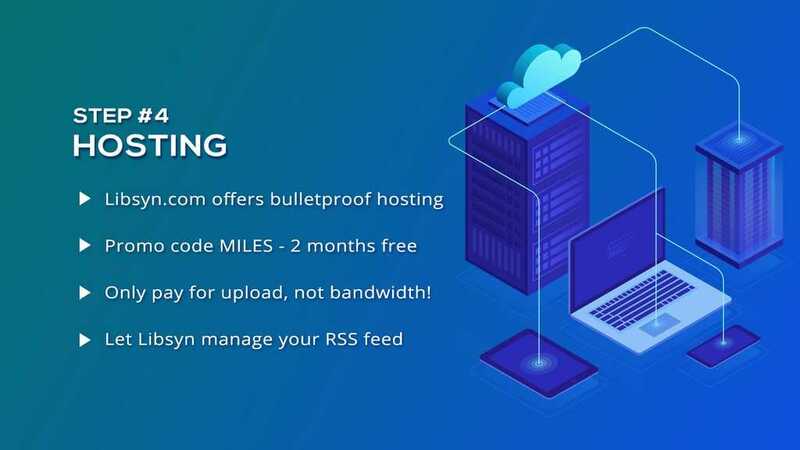 You actually want to pay for pro-level hosting for a podcast. I recommend Libsyn. Their basic package starts at $5 per month, and their reliability is bulletproof. Use my name “Miles” when you sign up and you will get the rest of this month and next month for free. No excuses to getting started! 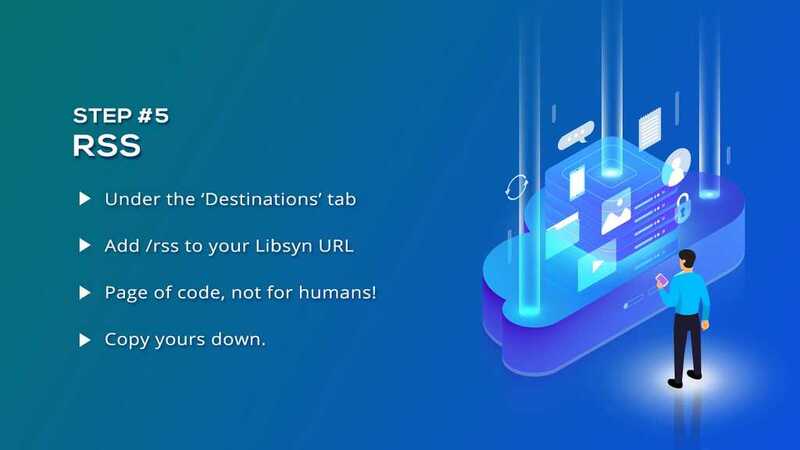 RSS stands for ‘really simple syndication.’ It is essentially a page of code that serves as the actual mechanism that allows you to connect all of the different podcasting apps with your MP3 files that are hosted on Libsyn. Next, you will have to manually submit your feed to each of the different podcasting apps (iTunes, Spotify, etc.). I have my feed submitted to about 12 or 13 different locations. 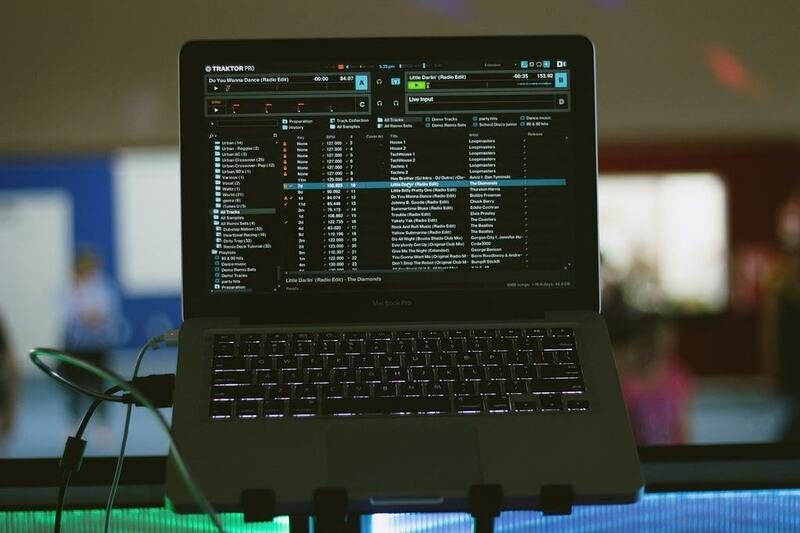 You will want to connect to iTunes first, as they have the most stringent guidelines. 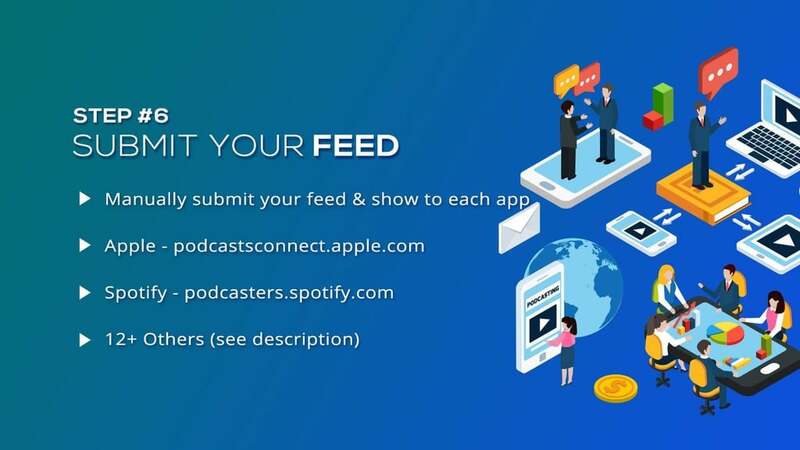 I actually have a great list of the different podcasting apps to start on, once you have your feed, you can go down through my list and just submit your feed to each one. After you get connected to iTunes, you will find that the other platforms are pretty easy and will not take as long. It can take up to 10 days or more to get approved on iTunes. This step will take some research, as you will have to go through the process with each app. 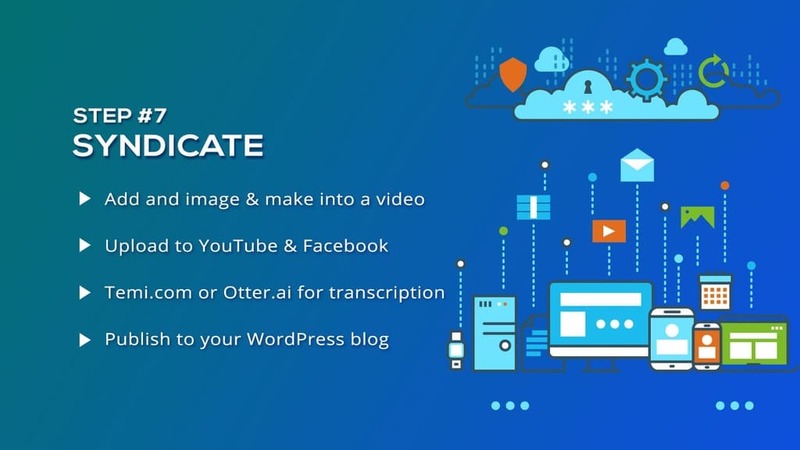 But once you have submitted your feed to each podcasting app, you will be done… and your podcast will now be hosted and available to the general public. The next step is to prepare for syndication. This basically means to make your podcast available on more platforms than just regular podcasting apps. This isn’t a step that you have to take if you don’t want to… but it comes with a lot of benefits. For example. You can create an image for your podcast, load the podcast audio into a video editor, add the image, and render it out as a video to get views on a YouTube channel. You can also upload this video to Facebook if you are doing Facebook marketing. 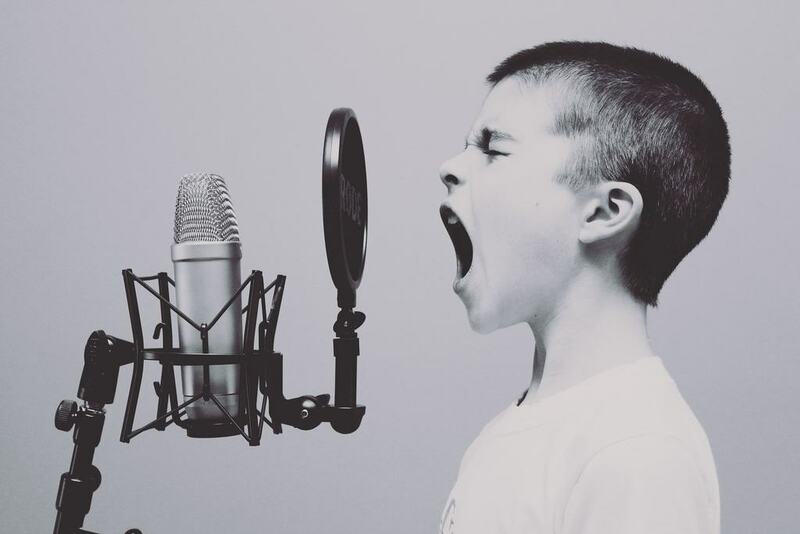 There are a lot of ways to syndicate your podcast to help you create more varied types of content, this post on the many options of getting more traffic will teach you all the hacks! And finally, now that you have everything in place… the time has come to start recording. Don’t overthink this part. You will be tempted to hesitate here… but you MUST overcome the fear of getting started. As a general rule, you want 4 to 8 podcasting ‘episodes’ lined up before you even launch your podcast, just to give you a good head-start. Then, make a schedule. How often are you going to podcast? Once a week? Twice a week? Every Wednesday? Whatever you choose, stay consistent and stick with it! There are a number of ways to take your podcast to the next level and use it to generate a lot more attention for your brand. Of course, the key to a successful podcast is in creating high quality, valuable content for your listeners… and to continue creating that content consistently. That’s the game! That’s how you win with podcasting. But there are also a few other things you can do to make even better use of your content. You can transcribe your podcast and turn it into a blog post, which is a really awesome way to make your content go the extra-mile. To do this, you can use Temi.com, which costs about 10 cents per minute. Or, you can use Otter.ai. 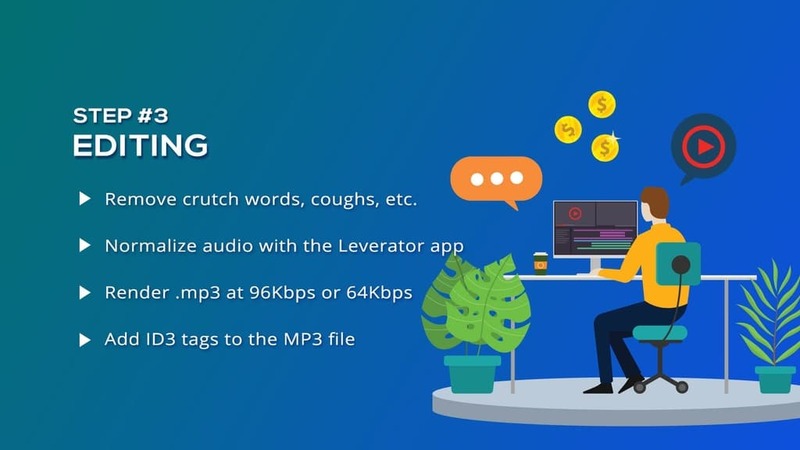 These are just a couple of services that you can use for automatic transcription if you don’t have the time to do it by hand. If you’re starting a podcast and don’t yet have a WordPress blog, this could be an awesome opportunity to grow into that medium as well. You can use your transcriptions to create blog posts that you can then publish to your blog, and essentially grow two different platforms with little extra effort. Growing your podcast takes time and consistency. 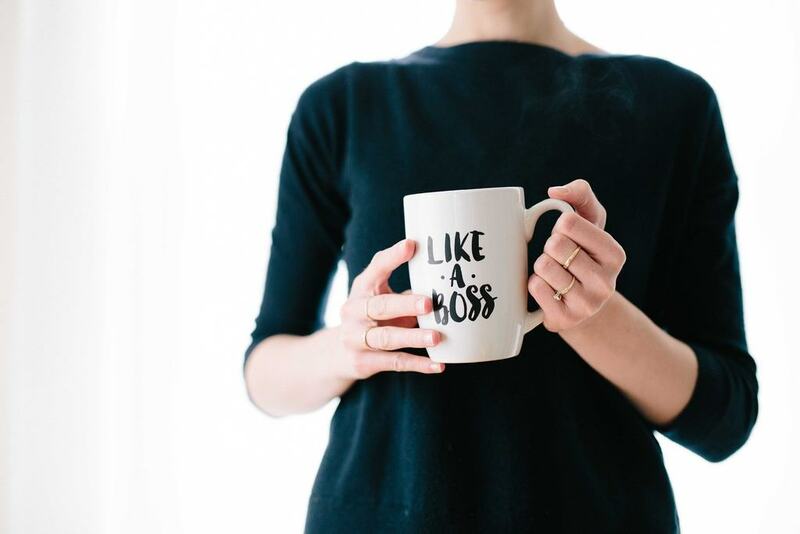 But if you keep putting effort into it, you can establish yourself as a leader and an expert in your niche. Here are some tips to help you grow your podcast and win at the content-creation game. The biggest thing to keep in mind is to be consistent. You need to produce quality content… but it is better to stay consistent than to get caught-up in the trap of perfectionism. So whatever you determine to use as a schedule, stick with it. If you commit to podcasting once a week, stick to it. If you commit to doing it three times a week, stick with it. This is a fundamental key to growing your podcast successfully. The great thing about podcasting is that it gives you a voice. So use that voice to help people. Teach people what you know. Help them to succeed. Be a voice that inspires other people to step up to the plate and take their own swing. Provide real, measurable value to your audience. Treat them like family. Give them valuable information that will transform their lives… and keep showing up, week after week, with new and better content. If you stick with this formula, it will only be a matter of time before you start winning. Are you ready to get your podcast up and running? With $100 or less, you can crush it! Podcasting doesn’t have to be difficult. It is actually really simple. If you have any questions, please comment and let me know! I would love to help you and answer any questions you may have along the way. We are all in this together. Now go forth and start crushing your podcast game!